So what do you do when you’re trying to teach math to a preschooler and he just doesn’t want to sit still? You’ve got these great worksheets all printed out, and he shows zero interest. In fact, he resists them. That’s okay. 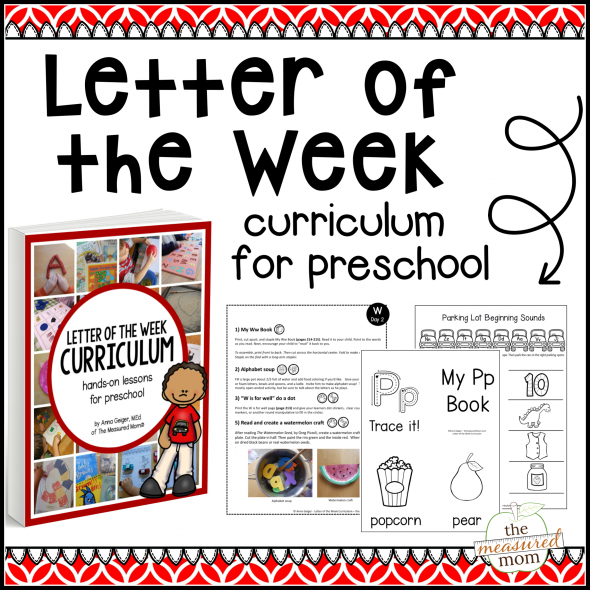 Preschoolers need very few traditional worksheets. In fact, many early childhood teachers don’t use them at all. So what do we do instead? 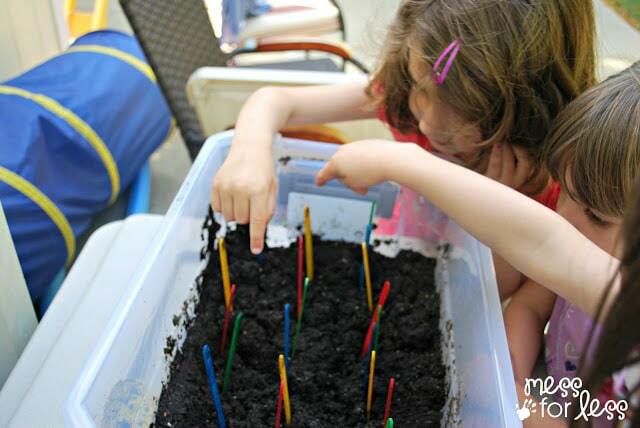 We teach children using active, hands-on activities. Children benefit from using more than one sense to learn. And when they involve their whole bodies, they’re more likely to remember! You get the idea! 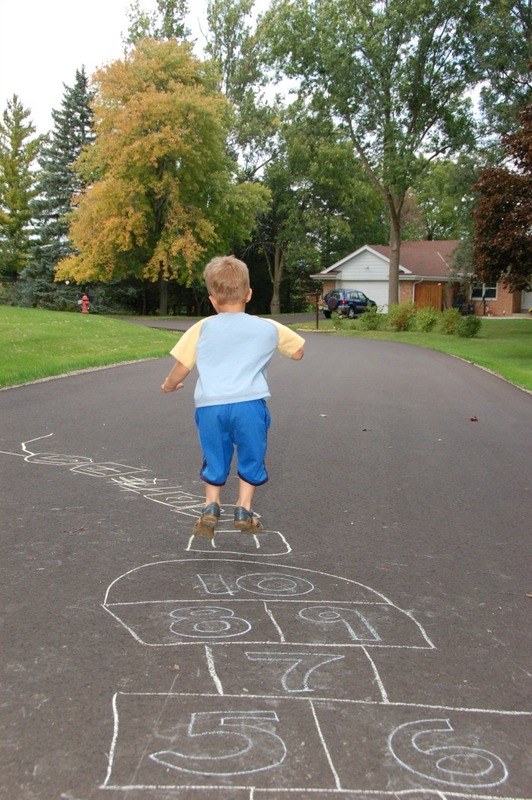 For letter J, I’ve put together a set of math activities that will get your child to jump, run, leap, and LEARN. 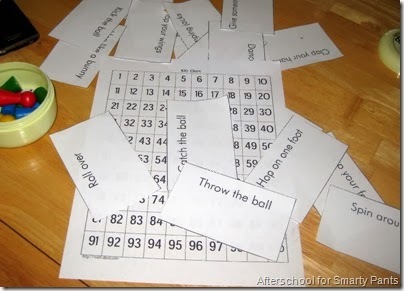 It’s a set of active fun math games for preschoolers. 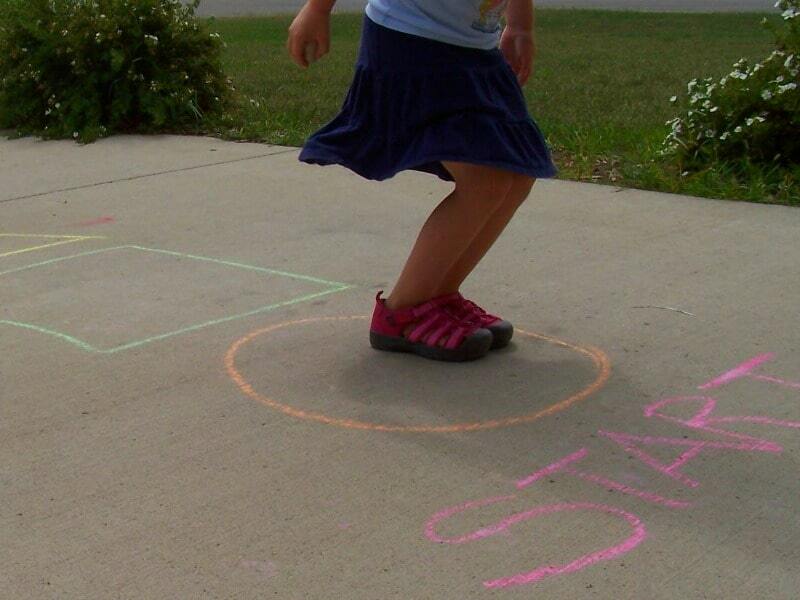 If this isn’t your outdoor season, try Happy Hooligans’ easy indoor hopscotch game. 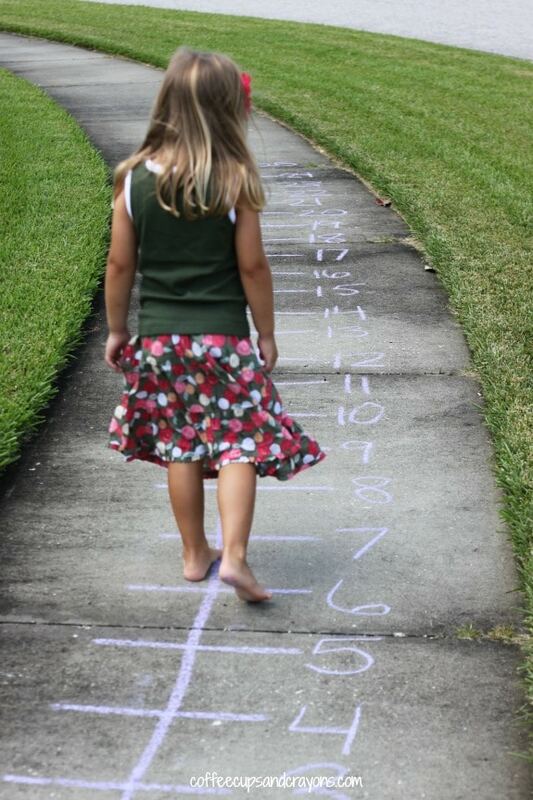 This number walk from Toddler Approved is perfect for kids just starting to recognize numbers. I’m planning to try it with my Two later this week! Go on a number hunt with Mess for Less. Very little prep time required! This run and count game from The Pleasantest Thing requires just a few simple materials. My kids would love it! Concepts of time are difficult for preschoolers. 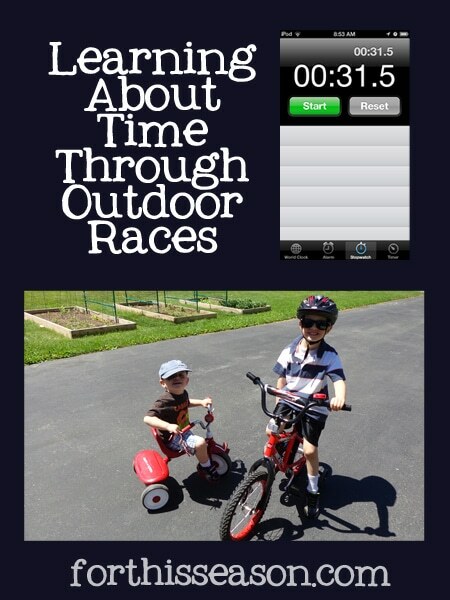 Help them understand what “a minute” means by timing outdoor races. Lots of great ideas in this post from For This Season at Preschool Powol Packets. 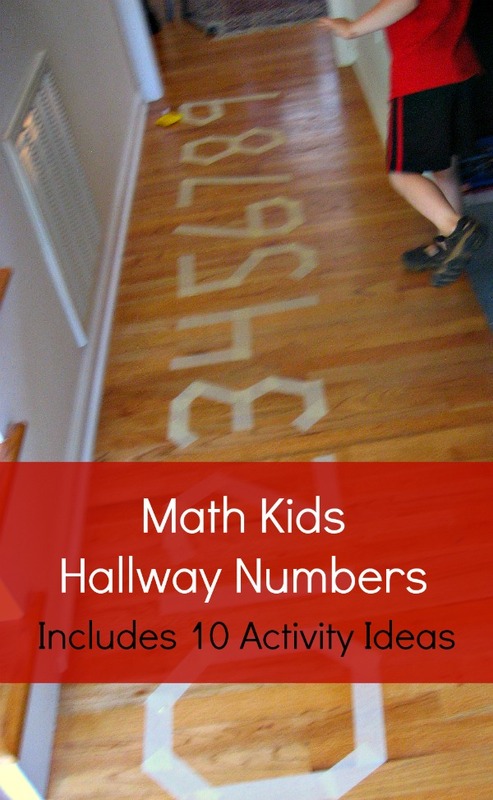 Use masking tape to put numbers on your hall floor. Then visit JDaniel4’s mom for ten active ways to use them! 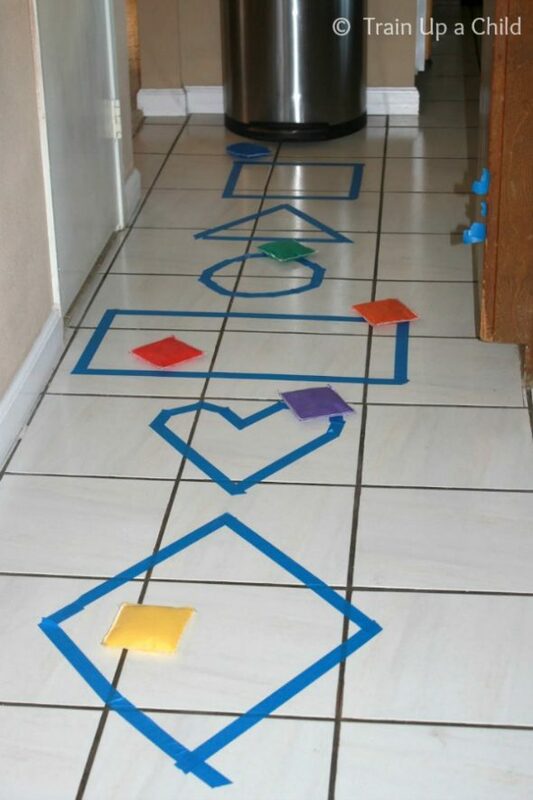 Play shape hopscotch with Creative Family Fun. 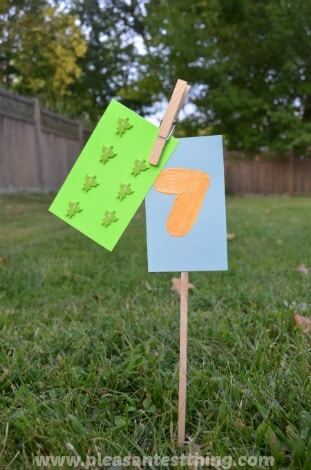 Try an indoor bean bag toss with Learn Play Imagine. And for a fun variation of this activity (turn on the music! ), check out the post and video at No Time for Flashcards. 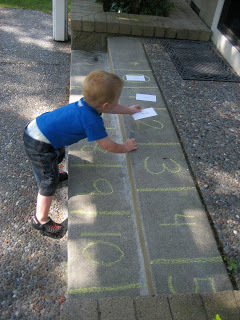 Check out the ways to learn with a number line run at Coffee Cups and Crayons. If you have a preschooler who’s learning numbers past 20, you can try this very active way to race to 100 from Planet Smartypants. Fun stuff! For more fun ways to learn and play, follow me on Pinterest! 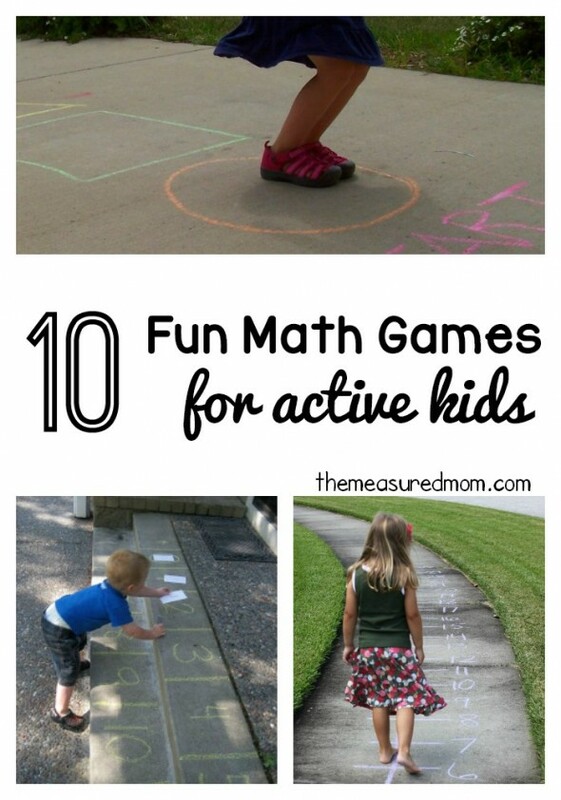 Follow The Measured Mom’s board Outdoor Games for Kids on Pinterest. Follow The Measured Mom’s board Rainy Day Activities for Kids on Pinterest. © 2014, Anna G. All rights reserved.